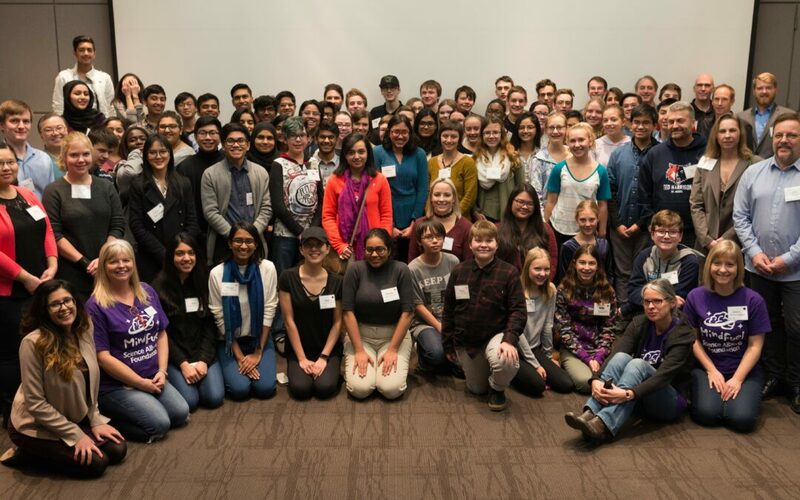 On December 2, more than 90 Alberta students gathered in Calgary to attend the first ever geekStarter Startup Workshop. Managed by MindFuel, with funding support from Alberta Innovates, geekStarter engages students in finding and solving authentic problems, and building solutions based in emerging science, technology, engineering, and mathematics (STEM) fields. The day included information sharing, hands-on activities, panel discussions and speed networking. Students from middle school, high school and university met experts and past geekStarter team members offering insights on entrepreneurialism, launching and running a startup, and taking their research projects to market. Three Alberta iGEM (International Genetically Engineered Machine) teams (University of Calgary, the University of Alberta, and Urban Tundra – Edmonton), as well as other geekStarter teams from across Alberta: Nexus Robotics (Calgary), Ross Sheppard High School (Edmonton), Ted Harrison School (Calgary), Consort School (Consort), Our Lady of the Snows Catholic Academy (Canmore), RSports Robotics Group (Fort McMurray), and Notre Dame Collegiate (High River). Students took part in a mini lean startup workshop facilitated by Justin Pahara, using principles from Eric Reis’s 2011 book, The Lean Startup: How Today’s Entrepreneurs Use Continuous Innovation to Create Radically Successful Businesses. Student teams were asked to create, refine and ultimately pitch a value proposition for a theoretical business. All attending teams were entered into a draw for a professional-produced video pitching their geekStarter project. Nexus Robotics won the prize! The day prior, MindFuel and Bennett Jones LLP co-hosted The Evening Before, a stakeholder event to welcome Saturday’s special guest speakers and introduce them to MindFuel supporters. The Evening Before was an exclusive opportunity for attendees to meet Saturdays’ special guests, learn more about MindFuel and geekStarter, and spend valuable time connecting with leaders in technology and innovation, science and medicine, entrepreneurialism, and venture capitalism. 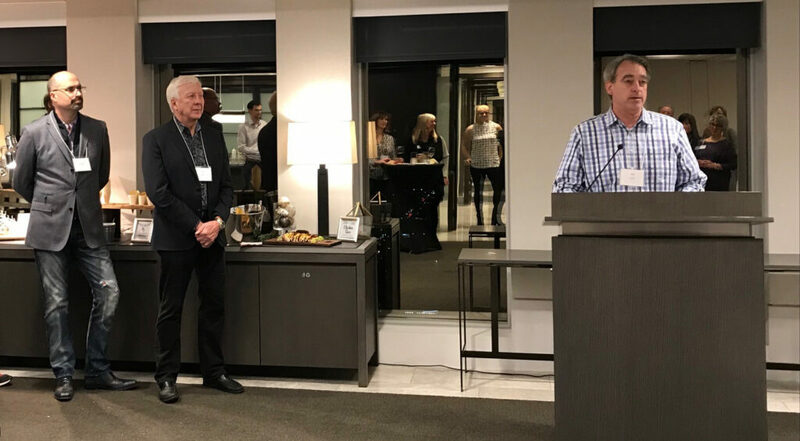 Special thank you to Bennett Jones for hosting the event at their offices.